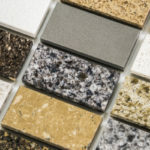 Replace vs. reface kitchen cabinets, which of these treatments do your cabinets require? Are they still in good enough shape to pass for reface-able? Or are they past the point of no return and in need of replacement? New cabinets can eat up as much as 50% of the average kitchen renovation budget. 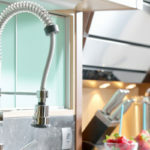 You can save a lot of money by buying wholesale kitchen cabinets and avoiding inflated retail costs. If your cabinet box is still in good condition, you can save even more money refacing cabinets. -Add new wood or laminate veneer on top of existing cabinets and drawer fronts. -Remove old cabinet doors and apply new doors and drawer fronts, while keeping the original cabinet boxes. You could add new wood doors or glass-front doors. Refacing is convenient and affordable, plus it can take years off cabinetry and bring outdated doors into the modern century. 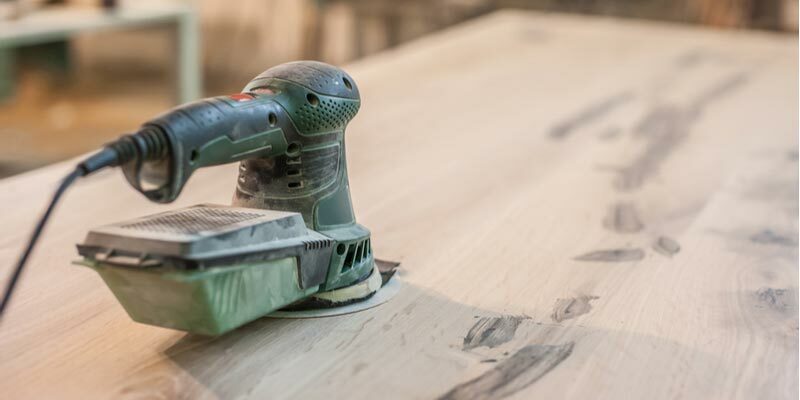 It still takes a lot of work and money to get the job done right, so it’s important that it’s worth it… and it’s only worth it to reface your cabinets if the cabinet box is still in solid condition. That means your cabinet box should have no signs of water damage, warping, mold, etc. Cabinets should be fully functional, open and close well, and be firm to the touch. If your cabinet box is in bad shape, you’re virtually “throwing good money at bad.” Replacing cabinet faces is not going to stop the cabinet box from further degrading, leaving your new cabinet faces worthless in a few short years. If your cabinets are not in overall good shape, your best bet is to replace them. Here are some signs that your cabinets need to be replaced. 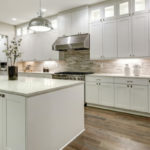 If you don’t have enough cabinet space or cabinet design is altogether dysfunctional, no amount of refacing is going to make the situation better. Installing brand new cabinetry will give you the opportunity to turn your kitchen into a far more functional and valuable space. Oftentimes, cabinet doors stop closing and opening properly because they are warped or have suffered some type of water damage. Unless there appears to be a simple solution, it’s best to fix cabinet boxes that do not support proper opening and closing of doors. -Mold is growing in cabinets—use a flashlight to check deep back in corners. -Your cabinets feel soft to the touch when you press against them with your finger. Thin cheap cabinets are going to soften and lose their strength quicker than thick high quality cabinets. But I Can’t Afford to Replace, & I Still Want to Reface! Now What? We hear you, and we completely understand. Working in a kitchen that you don’t love is uninspiring at best. Even worse is a hideous kitchen you can’t stand to look at. Still, you don’t want to waste money refacing kitchen cabinets if the entire box will need to be replaced 3-years from now. Some homeowners opt to remove certain cabinet faces altogether and just use the shelves until they can afford to replace the entire cabinet box. Wholesale kitchen cabinets offer the best value in town. Why pay retail markup when you don’t have to? You might be surprised how affordable wholesale cabinets are. 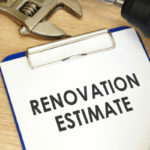 We’re here to help you save money on the kitchen renovation process. Come shop our wide selection of high quality kitchen cabinets and granite countertops too!